Kia Forum > KIA Models > Kia Sorento Forum > 2016+ Sorento > 2019 Sorento - XM Ready? 2019 Sorento - XM Ready? I just purchased a pre-owned 2019 Sorento. Does anyone know if the Radio is SiriusXM ready where I can just plug a receiver into the stock radio? Push the "radio" button. The option for Sirius will be on the bottom of the menu. There's no option for it. The book even shows this radio withought SirusXM. This was something I unfortunately overlooked when purchasing the vehicle. I just figured it had it, just like my 2016 Sorento. I have a LX V6. Looks like it is now optional. I would imagine I would be able to just have the tuner module installed. Not sure if you can get a tuner module or not. Given that there is no option for it on the screen how would you select it? 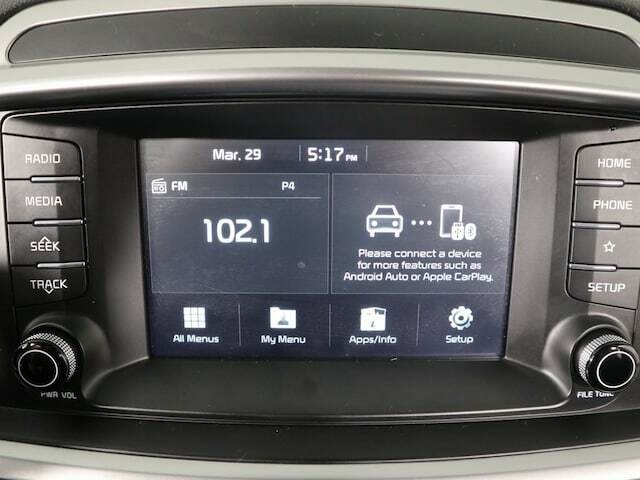 You might consider an aftermarket head unit that incorporates XM, nav, Apple Car Play/Android Auto and all of the other good stuff. There have bee a couple threads here recently that discuss this. **EDIT** Just did a little looking. If the headunit is XM/Sirius ready, then yes, you can add a tuner module and probably be done with it. I would assume the antenna is built in to the shark fin. If the headunit is not XM/Sirius ready then you would need to upgrade your headunit. But I didn't find anything saying one way or the other whether it's XM ready or not. On Kia's website, it shows the LXV6 with the XM/Sirius headunit as optional, but XM/Sirius as standard. Last edited by -jon-; 04-07-2019 at 08:44 AM. Thanks for the reply, Jon. I couldn't find anything either in regards to if it is XM ready or not. I do like the stock unit so it would be disappointing if it is not XM Ready. I'm having someone take a look Tuesday to see what my options are so I'll post what I find out. Maybe you could find a stock unit from a junkyard if it comes down to it??? I thought all new cars came with it now. Who knew? Access it on your phone, play it over bluetooth or AA into the car.